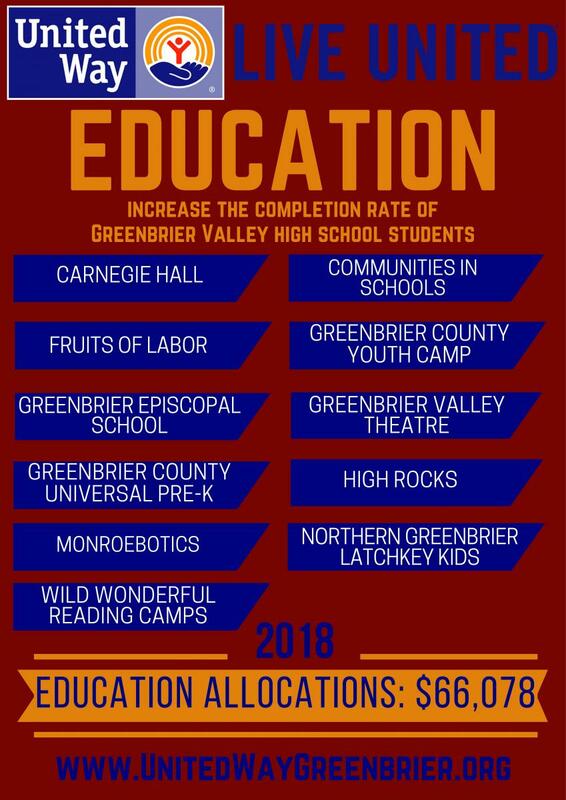 Increase the completion rate Greenbrier Valley high school students. We can’t focus on high school alone. High school dropouts are 12 years in the making, usually starting early childhood education behind schedule. United Way's model focuses on supportive communities, effective schools, and strong families — strategies and approaches rooted in research. Tackling the education challenge requires re-framing education on a birth to 21 continuum.